Bottle Monster is currently reading eating the Problogger book. See related post here: I won a book! That’s great! I think you may be more unique than we are! 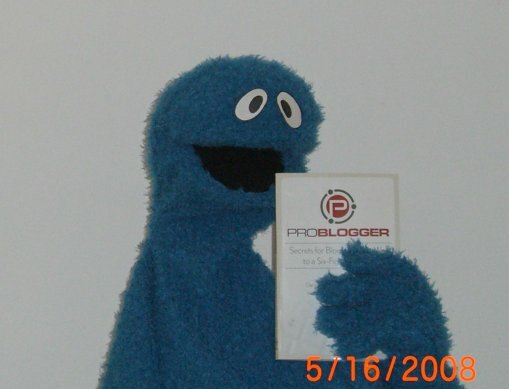 Nick Throlson’s last blog post..Just Picked Up ProBlogger Book! Thanks for dropping by, Mike! I really like your blog design. I dig cartoony colorful stuff. Thanks for dropping by, Nick! I love making people laugh. Actually, I’m amused by the picture too. I was puppeteering and the camera was sitting on my bookshelf, so I didn’t know what it would look like until it was taken. And I’m quite amused by the product.